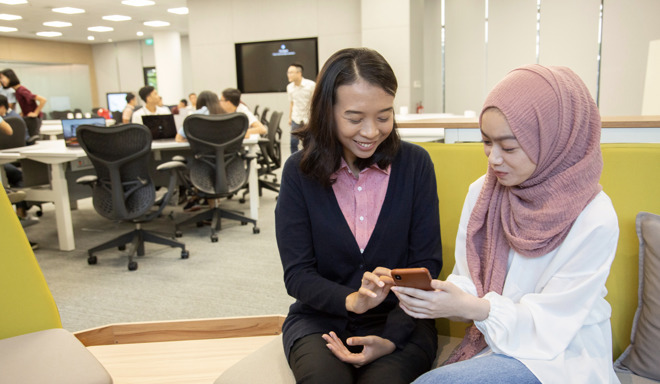 Apple this week opened a new developer academy in Bumi Serpong Damai, Indonesia, on the outskirts of Jakarta, the company announced. The academy will train students to develop iOS apps, with 75 students part of the original class that will learn Objective-C and Swift over the course of a year. The Apple Developer Academy, Apple said, "aims to challenge and inspire students through a multi-disciplinary approach to teaching and learning." The facility is part of a $44 million investment in the country by Apple. "We are thrilled to be opening the Apple Developer Academy in Jakarta to help provide the next generation of developers the skills they need to develop iOS apps and join the fast-growing app economy," Lisa Jackson, Apple's vice president of Environment, Policy and Social Initiatives, said in a statement to the media. The academy is the third of its kind in the world, following locations in Italy and Brazil; it is an "innovation center" rather than a straight R&D facility. The opening of the facility had been hinted at in late 2016 when that nation's Communication and Information Minister, H.E. Rudiantara, told a local media outlet that plans were being finalized, and a decision nearing on a location, and for construction to take place throughout 2017. The Academy, The Jakarta Post reported, was established in part in order to comply with local content requirements in regards to the production of 4G gadgets sold in the country. The rules, known as TKDNs, require 30 percent of "manufacturing, software and innovation development" to be done locally. Similar requirements kept the iPhone from being sold in Indonesia for a two-year period, although it returned in 2017.